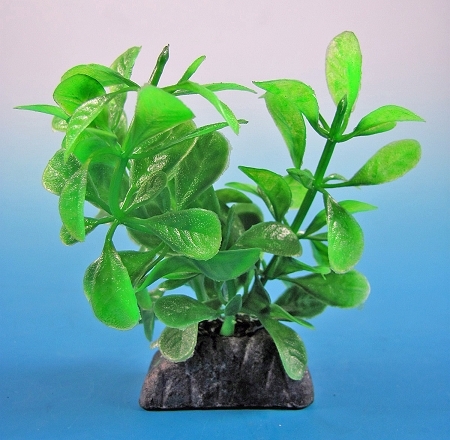 Mini faux aquarium plants are used for decor in smaller tanks or as accent pieces in larger aquariums. 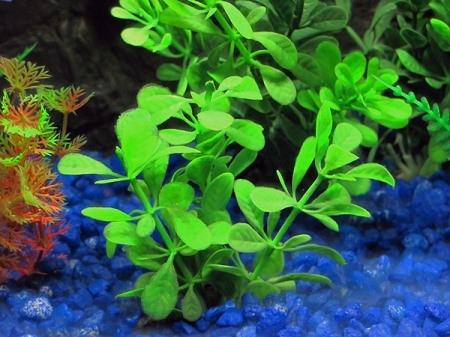 Use your imagination to create your own aquatic world with these smaller plants. You'll find both realistic and imaginative colors for spicing up the decor of any aquarium. Make our own underwater world at affordable prices. Especially when you consider the cost of maintaining live plants. Each plant shows realistic and colorful alternative leaves. These plants still offer a safe haven for the smaller fish in your aquarium which is often useful in reducing fish stress and promoting fish health and longevity. They will also save a lot of cleaning time leaving you more time to enjoy the fish. These plants are not just for aquariums either. If you keep a small goldfish pond or other outdoor species these plants will look beautiful in an outdoor or patio pond and give your fish a place to hide from predators and reduce maintenance time so you have more time to enjoy your mini-pond.